Heavier guitars, a tighter rhythm section with quick time-signature acrobatics and long sweeping keyboard passages and vocals that reach into your soul with their power and compassion; culminating in an album that is truly worthy of praise. For sure, this one is one of the most diverse and kinda of ‘difficult’ records that I’ve heard this year. It’s an album that features beautiful melodies, harmonies, a strong progressive and poetic vibe, excellent performances and a tight musicianship. The fans of the classic rock/progressive sound should do a favor to their selves and check out this little gem. Rating : 9/10 – Heavy Paradise. In conclusion we would say that this is the best progressive album of 2016 and has already taken place in my list of the best albums of the year. In Fine Initium is yet another evolution into progressive rock’s future by blending the past with the present. This album should provide for a solid set list in live settings. The album has been on pre-order since September 16 with a special CD/T-shirt bundle. 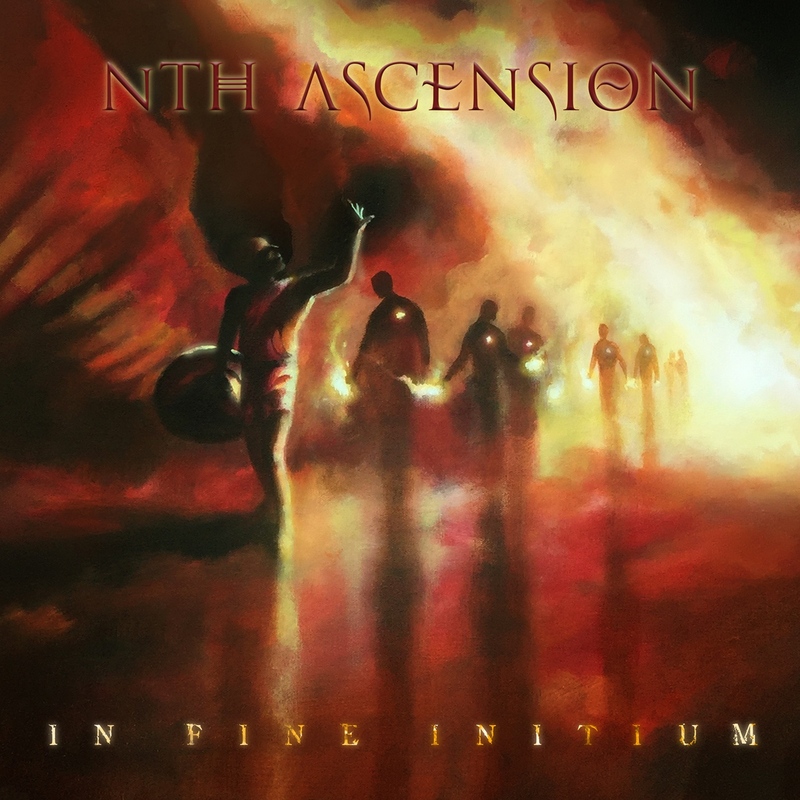 For release day Nth Ascension have chosen to offer additional T-shirt designs showcasing the graphic arts talents of their bass player Gavin Walker.